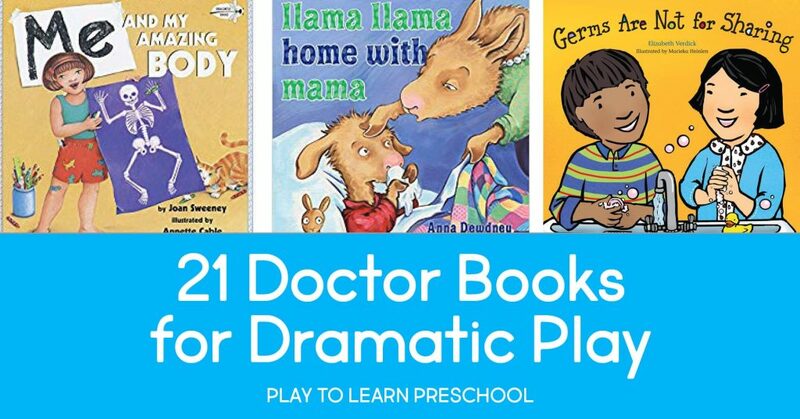 When we set up a special thematic dramatic play center, like our recent Hospital, we always look for ways to incorporate lots of literacy elements. 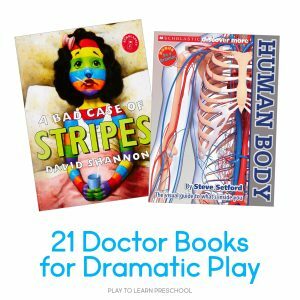 Reading about a place or a scenario gives our preschoolers lots of ideas to incorporate into their play. 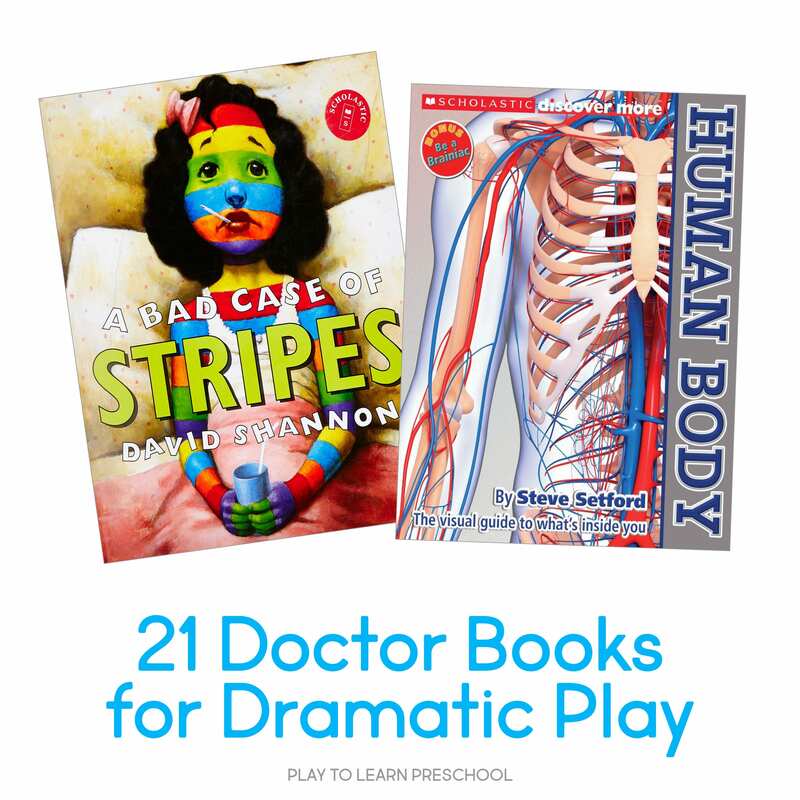 These are our favorite Doctor Books. You will find them in the book nook while the hospital is set up! Here are my Hands by Bill Martin, Jr.
What are your favorite Doctor Books? How do you incorporate literature into the different areas of your room? Leave a comment with your ideas!